This is why I appreciated receiving a press release from Buffalo Trace Distillery announcing the results of their most recent experiments to produce a perfect bourbon. After writing an article on this world class spirit some years ago, I figured there was nothing left to say about bourbon. There are three essential ingredients: corn, rye and barley. It is aged in a charred white oak virgin barrel. Each distillery strives to achieve their own unique taste profile and many are winning awards the world over. It is a classic example of organic society, as explained in the book, Return to Order, since it springs from the very soil of the “Bluegrass State.” Distillers provide an excellent product and make loads of money doing it. They are happy and so is the consumer. End of story. No! To be satisfied with a product that is simply good or even excellent, is not enough for those who dream. 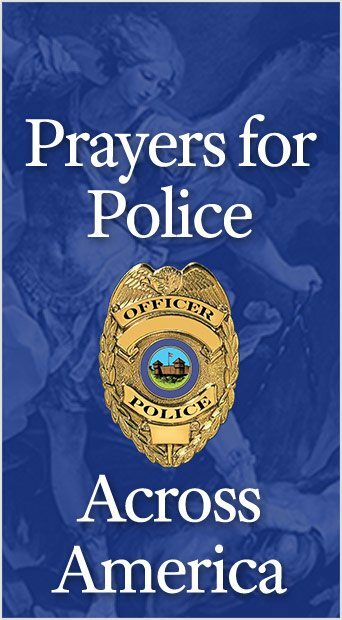 Such men search for perfection as opposed the simply sufficient 40-acre-and-a-mule Amish version. This is another defining characteristic of a true organic society. When it comes to Buffalo Trace, this includes even the time allotted for stave drying.1 Otherwise known as “seasoning,” this process permits the right amount of tannins and wood sugars during the charring of the barrel. This in turn, allows for the alcohol to extract the right flavors. 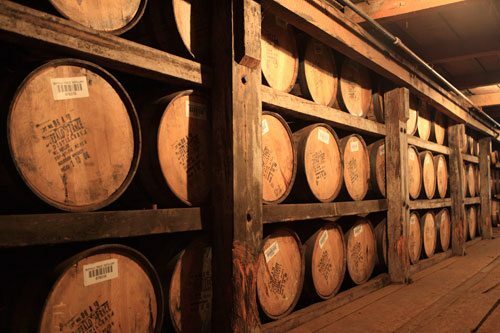 Barrels of Bourbon will sit in Buffalo Trace warehouses for up to fifteen years. It’s really not that long when one considers that this distillery’s bourbon making tradition began in 1786. The standard seasoning time for Buffalo Trace staves had been six months. In their quest for an improved taste profile, it was decided to prolong the stave drying time to thirteen months. Two separate groups of barrels were filled with Buffalo Trace Rye Mash #1, and left to age. Every few months, master distiller Harlen Wheatley and members of the “tasting panel” would check the development of the product. They discovered that the taste differences began to show up early on and only improved over the course of the next fifteen years. Yes you read that correctly. They patiently waited fifteen years for the results. It’s really not that long however when one considers their Bourbon making tradition began in 1786. They found that the six-month drying time for staves produced flavors such as caramel, vanilla, and oak. Thirteen months, however, “created a bourbon that tastes of sweet nuts balanced with mild spicy notes, creating a robust flavor.” While it may have taken them fifteen years to craft this newest creation, you don’t have to wait that long. This new Bourbon is now available for purchase. The question you might be asking yourself is, where does it all end? After all, isn’t perfection impossible, this side of heaven? What motivates people to continue? I will let Buffalo Trace master distiller Harlen Wheatley tell you. 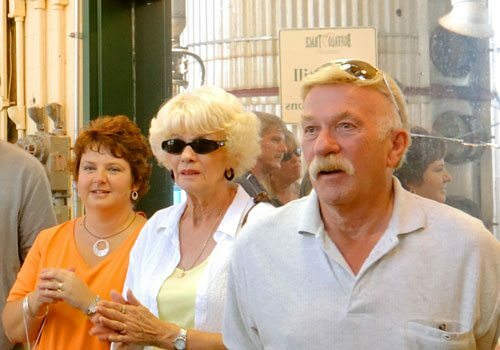 A behind the scene tour of Buffalo Trace distillery often leaves tourists captivated by the quest of those who strive to attain the perfect bourbon. Their search for perfection is clearly far from over and stave drying time is merely one of their undertakings. According the above mentioned press release, there are over 1,500 experiments that include everything from the unique mash bills to the type of wood and barrel toasts. These experimental barrels lie undisturbed in those marvelous Buffalo Trace warehouses as if in a dream state just waiting to reveal another tantalizing flavor for bourbon lovers the world over. Staves are the individual wood strips that form the sides of a barrel. 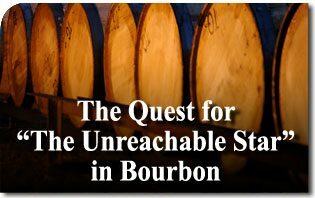 This entry was posted in Fighting the Culture War and tagged America, bourbon, Buffalo Trace, culture, Family, Kentucky bourbon, Order, Property, search for perfection, The Unreachable Star, Tradition by Norman Fulkerson. Bookmark the permalink.